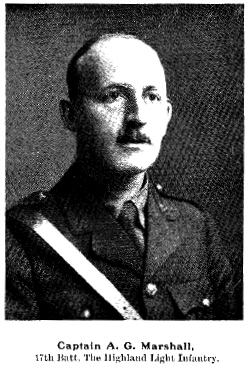 Enlisted in 17th HLI on 14th September 1914 and reached the rank of Lance Corporal (15387) in ‘B’ Company before being given a temporary commission as Second Lieutenant in the same battalion, now in the 97th Brigade of 32nd Division, on 25th May 1915. He was promoted to Lieutenant 2nd September 1915 and Captain on 19th November 1916. 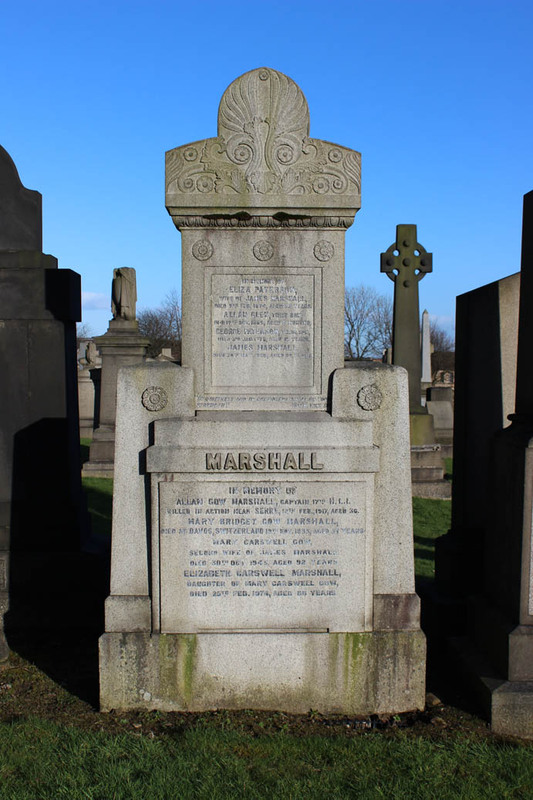 Marshall’s service abroad started on 17th June 1916 when he joined the 17th HLI at Contay and was posted to ‘C’ company. There is no further mention of him in the war diaries until his death is recorded so he seems to have come unscathed through the Battles of the Somme and Beaumont Hamel. In early 1917 there were a number of relatively small scale operations on part of the Somme battlefield known as ‘Operations on the Ancre’ and in one of these 32nd Division was involved in the capture of Ten Tree Alley 10th-13th February. The War Diary for 12th February records that The battalion relieved the 2nd KOYLI in Tentree and Lager Alleys in the morning. Our casualties were as follows:- Capt. A.G.Marshall and 2nd Lieut. 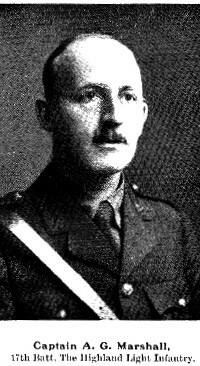 R W Smith killed … The family were informed that he had been shot by a sniper while out alone on a reconnaissance during the attack on Serre. His widow chose the phrase ‘Over us the bow of God’s eternal goodness bends’ for his tombstone. 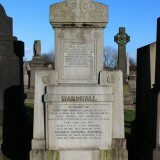 Son of James and Mary Gow Marshall; husband of Janie Anderson Wood Marshall, of 34 Ancaster Drive, Anniesland, Glasgow. Born at Glasgow. Officially James Marshall could be described as a miller but not an ordinary one. 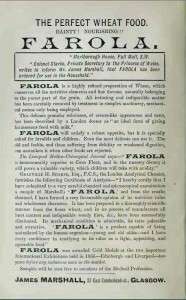 He and his brother Thomas were responsible for inflicting Semolina and Farola of (in)famous memory on generations of Scottish children. Jane Anderson Wood, married 14th August 1915. Son James born 28th August 1916. Sunday School superintendent at Woodlands U F Church, also connected with the men’s club run by the Church Mission. Member of the Scottish Mountaineering Club. 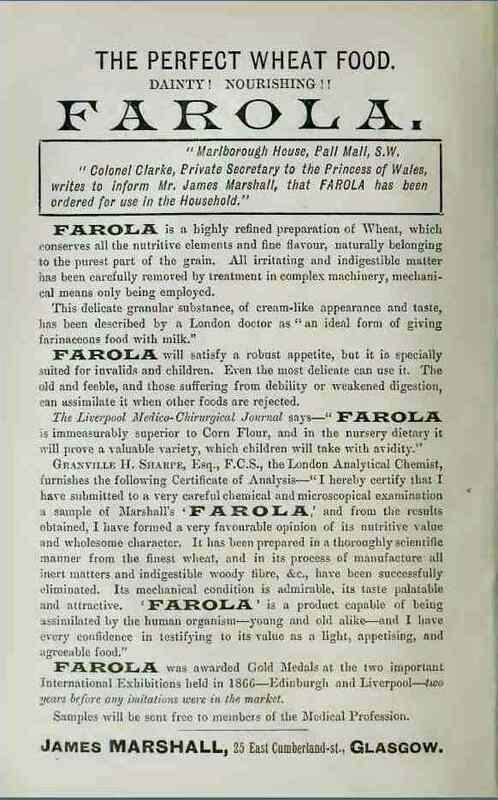 Much of the information on which this profile is based is drawn from various internet sources which are listed below. 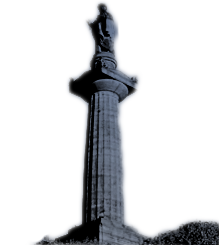 The Friends of Glasgow Necropolis also wish to make full acknowledgement and thanks for the permitted use of any information or images generously supplied specifically for exhibition, publication or display in connection with The Roll of Honour and accompanying profiles to Hillhead High School War Memorial Trust, Ancestry, and Find my past.